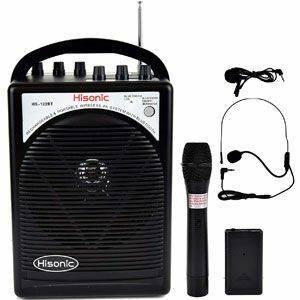 Is The Hisonic HS122BT-HL Rechargeable PA System Best For Karaoke? There are different PA systems for different occasions and professions, and the Hisonic HS122BT-HL Rechargeable PA System is definitely one for a more lack-back, inexperienced crowd. The main focus here is on the Bluetooth connection and the use of the accessories. This means that it should have potential for parties and small gatherings. The question is, just how limited are the functions for other users? Does The Hisonic HS420 Portable Wireless PA System Have The Wide Appeal That It Aims For? 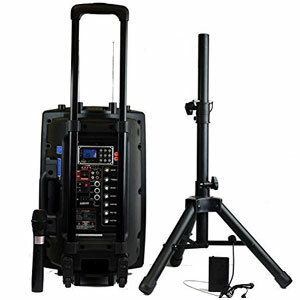 All about the inputs with set-up of the Hisonic HS420 Portable Wireless PA System. This system uses “award-winning” 2.4G technology so users can stream music from phones, laptops and tablets. There is also a USB port and SD card reader. The sound comes out of the 40w speakers system, which is designed to offer plenty of power but also clarity in larger, noisier environments. 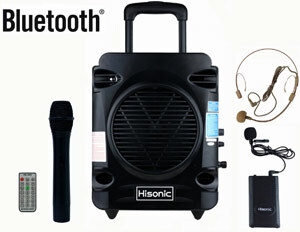 Is The Hisonic HS700 Portable PA System The Helpful Device Trainers And Speakers Are After? Wireless PA systems are a must have item for many performers that want a simple means of projecting their voice and their message to an audience and the Hisonic HS700 True RMS 35 Watts Rechargeable & Portable PA System aims to please with its large range of features. This rechargeable, portable sound system promises a great clarity of sound through the 35W speakers and brilliant wireless connections but are buyers happy with what they receive?